Beautiful wishes! And a healthy, happy new year to all! 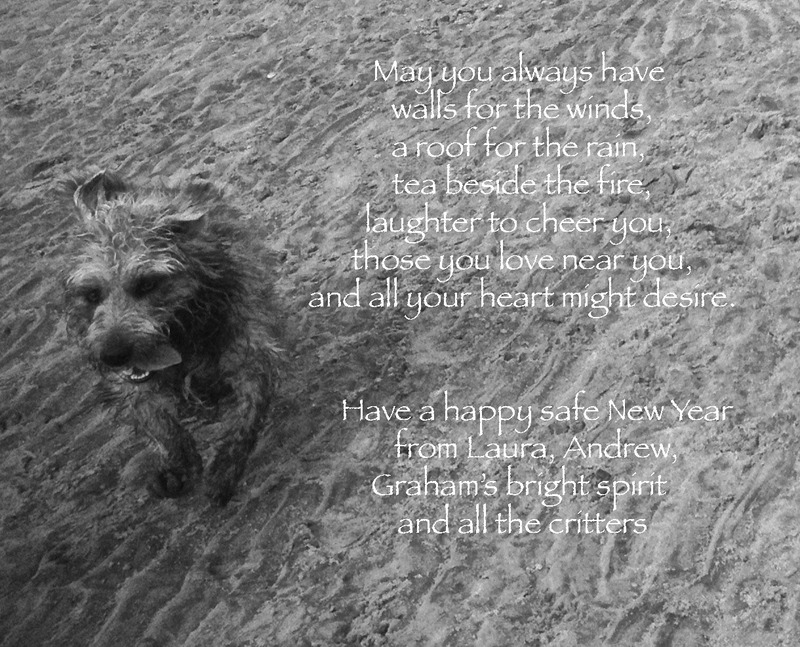 What lovely New Years wishes, same to you and your loved ones Laura, Happy New Year! What beautiful sentiments to begin a new year.Thank you… I hope your New Year is filled with good health and much happiness for you and those you love. What an exceptional photo! The energy, the magic–the new year dashing into existence out of the sands of time. Ahhh, such fertile ground for interpretation. Way to go Ben. Thank you for this, Laura. Wishes for the best year ever. What an exceptional photo! The new year dashing out of the sands of time! Ahh, what fertile ground for interpretation. Way to go Ben. Thank you for this, Laura. Wishes for the best year ever.